Train like a giant with the Venum Original Giant T-Shirt. Worn by the greatest athletes, it falls into the category of the most iconic shirts of the Brazilian brand. 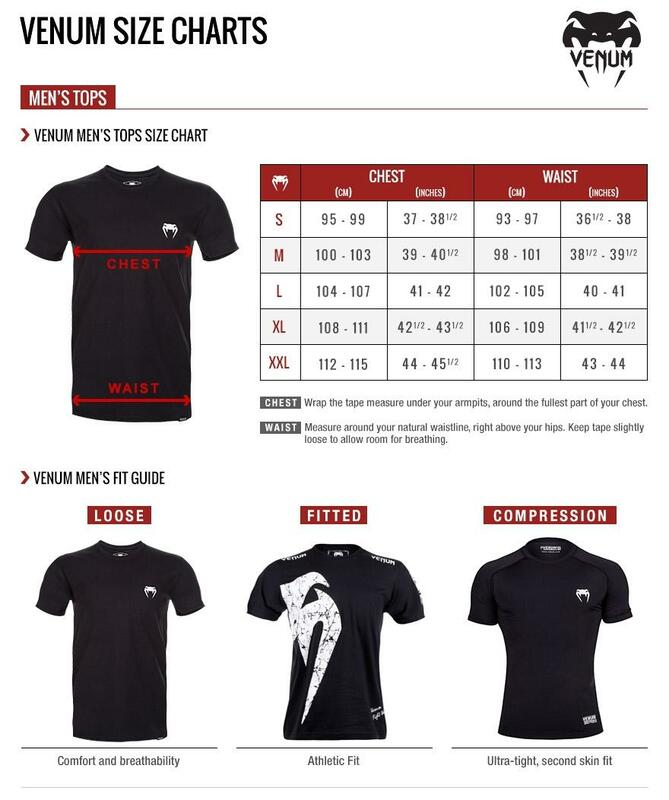 Reaching the height of satisfaction for MMA champions who have worn this piece, the Venum Original Giant T-Shirt features a strong and aggressive design. The grunge effect on the logo offers a unique look you'll love. Built to last, the Venum Original Giant T-Shirt is made from a high quality cotton, soft and durable fabric. This shirt is great for a sporty athletic look or a lifestyle piece of perfection. Cracked screen printing: grunge effect.